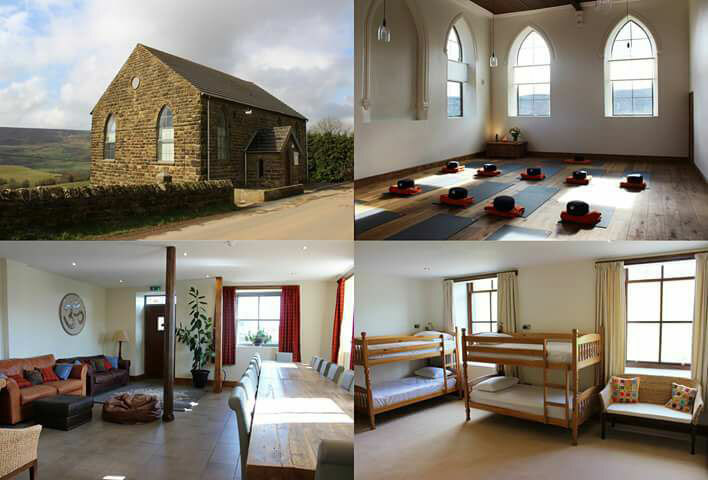 Established in 2000 by Lesley Wadforth, a qualified nurse, Health in Harmony offers quality Yoga and Holistic therapies. Lesley has an interest in Stress and Pain management. She uses a variety of skills to assist each client to reach optimum Wellbeing. Her love of teaching allows her to offer personalised classes and workshops. She has a reputation for excellent retreats in the beautiful North Yorkshire Moors. Member of the International Federation of Professional Aromatherapists. This beautiful art and science involves the therapeutic use and application of genuine and authentic plant derived essential oils for harmonising body, mind, and spirit. Combined with a variety of therapeutic massage techniques to create an individualised session just for you. Following a complimentary consultation, your personalised blend of pure essential oils are used to invigorate, relax, calm or balance. May be useful for pain reduction. Has been used for thousands of years to help reduce tension from the head, neck and shoulders. A treatment includes massage to the back, neck, shoulders, scalp and face. Feel the deep relaxation provided by the warmth and weight of the stones resting on your body. Followed by massage with Essential Oils to provide a very effective treatment. Fabulous for easing tired, aching muscles. With the client fully clothed, the therapist uses feet, elbows, palms, thumbs and knees to apply gentle pressure and yoga stretches to the body. The movements and stretches take place in a smooth, flowing sequence, generating feelings of deep relaxation and balance within the receiver’s body. Too busy to take time out? Why not try our 2 hour fast track, rest, restore and rejuvenate retreat sessions. You and up to 3 friends can join Lesley in the warm and welcoming Well-Being Room to be treated to foot soak, massage, and a Chi machine session. Herbal tea. A welcome break in the heart of Hull. A wonderful way to catch up without travelling away. In need of a total rest? Here there is no television, no internet, no telephone. But there is beautifully prepared wholesome vegetarian home cooked food (and plenty of it), roaring log fires, hot tub overlooking Rosedale valley, sauna, comfy beds and holistic therapies. On top of that I provide optional yoga classes, Reiki and relaxation sessions. These sessions take place in the wonderfully restored chapel. Come along and take the weight off your shoulders. Call me on 07815036397 for the latest dates and itinerary. Is a Personalised prescription of movements, dietary suggestions, relaxation, and breathing techniques to help you be at your best. May be of benefit for many conditions as well as for improving your yoga practice. Yoga therapy can be also be considered as One to One yoga tuition, or Yoga Personal Training. Following a detailed consultation before your session, I will devise a plan for you to practice with me, then follow at home. Quality handouts are provided as part of your session, and I can record your session on your smart phone for you to use as a reminder. Each session is £45 including your handouts.